This pipe laser is built with an easy to read LCD display which is perfectly backlit, functional even in dark condition. It fits in tight bends and narrow manholes and its slim build make it suitable for pipes with around 5 inches diameter. With an alignment function, surveyors can control the laser in the direction of the target up to 3,000 feet by using a remote control. With an IP68 rating, the Zeta125 series is made with extremely robust construction, perfect in rough environments. 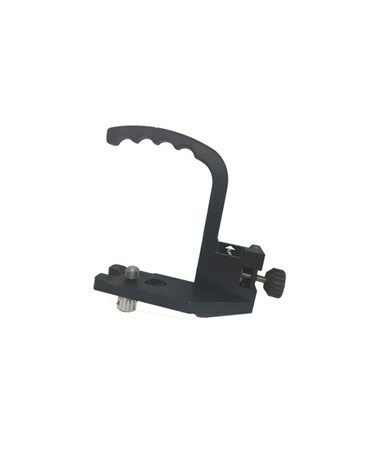 It also has an optional feature for vertical plane rotation, auto-target system, and cross-axis compensation to accommodate all work preference. Using a Li-Ion battery pack, this pipe laser lasts up to 40 hours and is adaptable with 5/8-11 tripod threading. 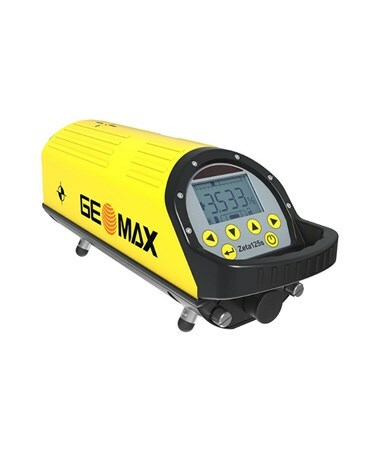 The GeoMax Zeta125 Series Pipe Laser comes in two models and six packages, all backed up with a 1-year warranty. Select your preference from the drop-down menu above. 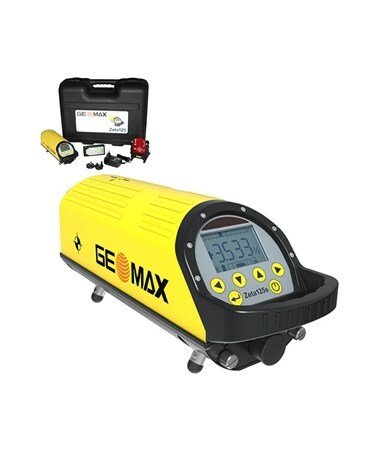 This package comes with the Geomax Zeta 125 pipe laser, rechargeable Li-ion battery, international charger, remote control, 150-millimeter leg set and carrying case. For focusing, it has the standard target for Zeta series. 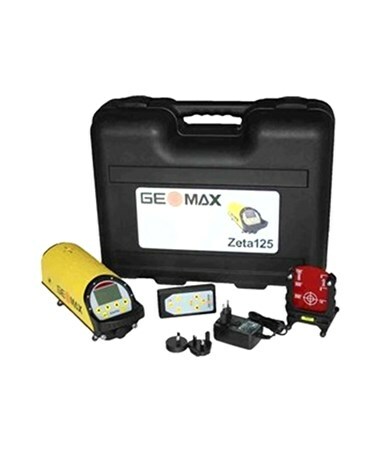 This package consists of the Geomax Zeta 125 pipe laser that offers a manual cross-axis leveling. It includes a rechargeable Li-ion battery, universal target, international charger, remote control, 150-millimeter leg set, and carrying case. 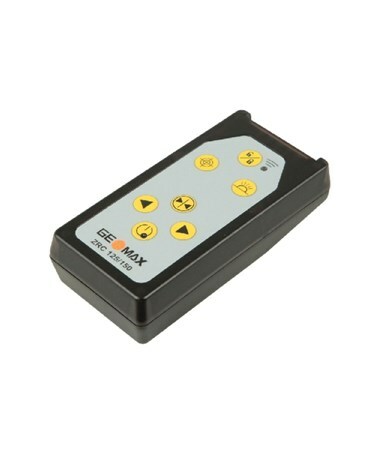 This package includes the Geomax Zeta 125 pipe laser, universal target, international charger, remote control, and rechargeable Li-ion battery. Unlike the other two models, this package comes with the trivet, handle rod mount, and height adjustable rod for sloping and easy mounting. Also, it has a large carrying case. 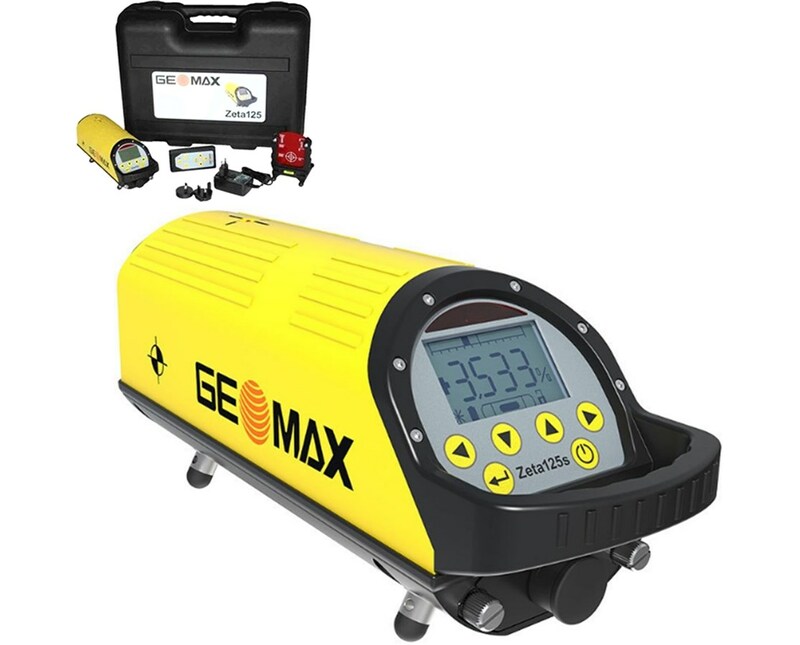 Aside from the Geomax Zeta 125S pipe laser, this package includes the standard target for Zeta series, rechargeable Li-ion battery, international charger, remote control, 150-millimeter leg set and carrying case. This package has the Geomax Zeta 125S pipe laser which features an automatic cross-axis leveling within ±6 degrees. Also, it comes with a rechargeable Li-ion battery, universal target, international charger, remote control, 150-millimeter leg set, and carrying case. This Geomax package consists of the Zeta 125S pipe laser, trivet, handle rod mount and height adjustable rod for sloping and easy mounting. Plus, it comes with the universal target, international charger, remote control, rechargeable Li-ion battery, and a large carrying case. 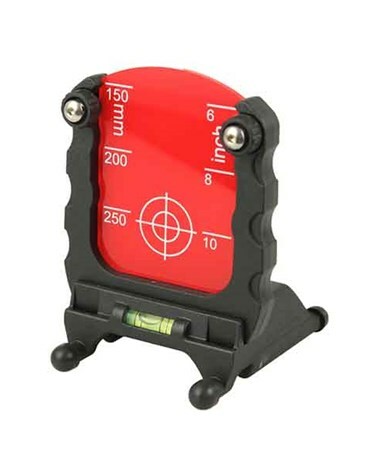 Universal target, 6" - 10" & 12" - 15"